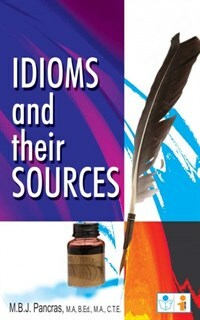 This book is attempted to explain possible meanings and sources of 270 idioms with model sentences. price of the book is very low. For 50/- the information given is very good. I got this book to read in the train travel and found it very engaging. was very interesting to read it. Did know idioms had such origins. All people who are interested in the language should surely purchase it. Lovers of language should own this one. Nice language and nice research. Very interesting to read it in my spare time. Want more such books. Thanks to the author for such a nice compilation. Did not know so many things before reading this book. Price is also very low.